Delivering high availability of its systems is a critical factor for Motorola Solution's command centre emergency dispatch customer base. 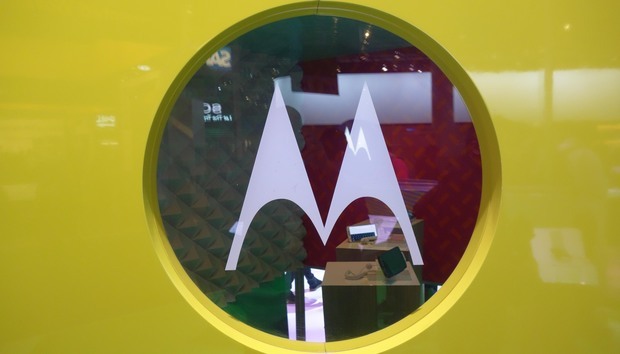 The dedicated software development team sits inside Motorola’s command centre, and caters for more than 1,000 system deployments as well as 90 mission critical deployments globally, including Australia's 000 emergency dispatch centre and the United States' 911. Speaking at HPE Discover in Madrid, Motorola Solutions manager of infrastructure and design team, Joe Ben Slivka, explained how the business extensively uses HPE's InfoSight in order to meet the requirements for mission critical systems, building from the storage level up to ensure proper system performance. “The systems need to be high performing and we use InfoSight pretty extensively," Slivka said. "One of the advantages we have is that we’re running the same workloads distributed globally and each one of these centres are all designed to be autonomous in case there’s a major disaster or failure of any systems." HPE InfoSight uses artificial intelligence to predict and prevent problems as well as provide context-aware data management. During the conference, the vendor also introduced new updates to InfoSight through expanding it into workload management and adding machine learning capabilities such as cross-stack recommendations for HPE Nimble Storage, providing an AI-driven guidance across the infrastructure stack. The AI-driven resource planner allows companies to optimise workload placement while performance insights for HPE 3PAR reduce the time spent on troubleshooting through machine learning to self-diagnose performance bottlenecks. From a development standpoint, Slivka said it was important to conduct performance analysis and develop patterns that it expects to actually see in-field, and recognise issues before they reach the customer site. “We use InfoSight to examine what we’re doing in the storage layer as well as the full stack of VMs [virtual machines], and adjusting that before the customer has any problems on-site,” Slivka said. With using InfoSight, Slivka was attempting to reduce the outages or downtime for its customer sites, and improve on their support time, and as added bonus, Motorola experienced 100 per cent uptime on its storage since it began using InfoSight. “We were shifting drives out before they fail - making those proactive changes,” he said. “Anything tied to InfoSight has not [experienced] any outages. We’ve also been able to drive down our storage costs globally for each site. “With these mission critical systems, storage is so important to make sure the workloads are performing correctly and once we’re able to pool in that VMware integration and full stack visibility, that’s really helped us deliver on our goal on delivering availability of our systems." Also during the event, HPE announced the expansion of its multi-cloud storage service, HPE Cloud Volumes that will be available in the Australian market in February. Furthermore, it has added automatic failover through completing SoC 2 Type 1 certification, to help customers meet compliance controls. The vendor also announced its HPE Memory-Driven Flash built with storage class memory (SCM) and non-volatile memory (NVMe). At the same time, HPE enhanced its partnership for secondary workloads with Cohesity.